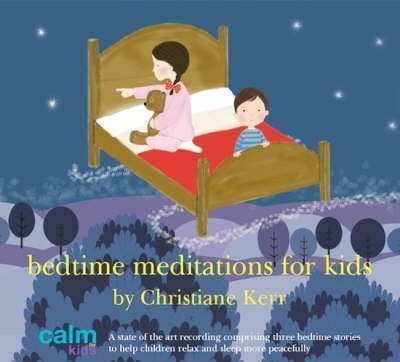 This is a superb high quality children's bedtime meditation CD by leading yoga teacher and Montessori teacher Christiane Kerr. A mother of two, Christiane runs relaxation and yoga courses for children. Her work has been featured in the national press and on TV and is now available through a new range of state of the art CDs published by Diviniti Publishing. This 52 minute CD comprising of 3 bedtime meditations is specifically designed to help kids sleep more soundly. There are also a number of suggestions to help children feel more confident and secure in their home and school life. Drawing upon her vast experience of working with children, Christiane skilfully guides children to the creative part of their mind through a number of carefully scripted story meditations. Each meditation story has an underlay of subtle sound effects and gentle music which combined with Christiane's calming voice make them irresistible and a deeply relaxing bedtime treat. This empowering CD is completely safe and very effective way to help your kids drift away into a peaceful sleep and to help build their self-confidence and self-esteem. The CD can also be used as a general relaxation at other times and is suitable for all children up to the age of 12.